Greetings and welcome from the Jan27.org committee. We are made up of scientists, engineers, literary text experts, historical researchers, free-speech advocates, skeptics, and the just plain intellectually curious. We invite you to join us! Right at the very spot that the story of 6 million murdered Jews is being told today and every day, these plaques tell the real story. 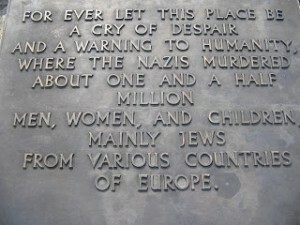 Up until 1990, the plaque on the left was in place, in several languages, in front of the Auschwitz-Birkenau Monument at the Poland memorial, claiming that four million people were killed here “by nazi murderers” in the five years between 1940 and 1945. But in 1990 (corresponding with the fall of the Soviet Union) the number was reduced to 1.5 million, with no explanation, and the plaque on the right replaced the original plaque. That’s 2.5 million less murdered humans! How could the historians and managers of the memorial site have been so wrong for 45 years? What made them “re-check” and suddenly “discover” (rather admit) their error? Only the growing body of critical, scholarly and scientific writings that demonstrated the impossibility of four million people being murdered in “gas chambers” and then cremated to ashes at Birkenau. 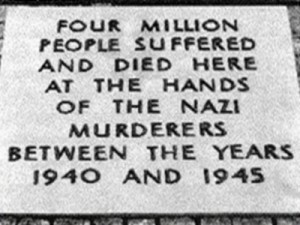 The answer to why the 4 million figure was used in the first place is that it was deemed necessary at the 1946 Nuremberg Tribunal as a support and justification for the fantastic 6 million total number of Jews “murdered.” Who demanded the 6 million number? You should be able to answer that yourself. But more, the official Auschwitz-Birkenau death number now stands even lower at 1.1 million. There are holocaust historians in good standing who have reduced it to 900,000 and even 700,000. How much lower will it go? 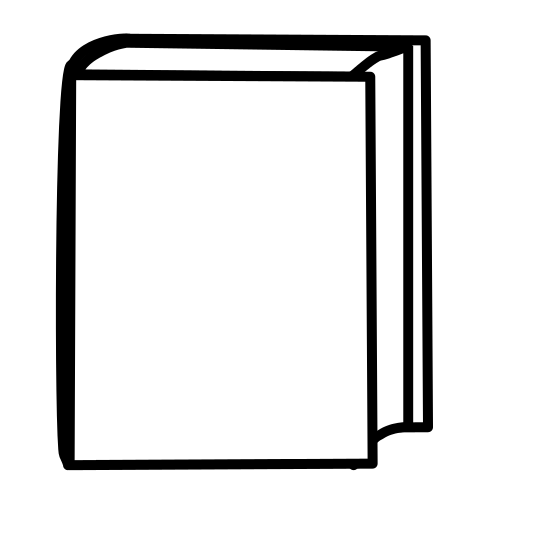 Maurice Bardèche, France, Nuremberg or the Promised Land (1948); book seized and banned in France, author sentenced to a year in prison. Paul Rassinier, France, Crossing the Line (1949), second book The Lie of Ulysses (1950); denounced in the French Natl. Assembly, taken to trial but acquitted, expelled from the French Socialist Party, the SFIO. Louis Marshalko, Hungary, The World Conquerors: The Real War Criminals (1958); lived in exile from Soviet-ruled Hungary from 1945 on; was refused entry into the United States. François Duprat, France. “The Mystery of the Gas Chambers” (1967 article); distributed French edition of Richard Verrall’s Did Six Million Really Die? (1974), Murdered by an automobile bomb blast that left his wife crippled; a “Jewish Remembrance Commando” claimed responsibility. Louis Fitzgibbon, Britain, Katyn (1971) plus 6 other books on Katyn through 1979. Thies Christophersen, Germany, Die Auschwitz-Lüge /The Auschwitz Lie (1973); served a year in prison, expelled from his homeland, forced to live in exile in Denmark (where his home and business were repeatedly attacked), Belgium, Switzerland and finally Spain until his death in 1997. William David McCalden, USA, Nuremberg and Other War Crimes Trials (1978), pen name Richard Harwood; first director of the Institute for Historical Review; attacked and beaten by Irv Rubin and the Jewish Defense League. Dr. Wilhelm Stäglich, Germany, The Auschwitz Mythos (1979); dismissed from his position as a Judge with a reduced pension; University of Göttingen withdrew his Doctoral degree. Robert Faurisson, France, letter published in Le Monde titled “The Problem of the Gas Chambers,” 1978. Key advisor and expert witness in 1985 and 1988 Ernst Zundel “Fake News Trials” in Toronto, Canada; arranged for Fred Leuchter to personally examine crematorium II at Birkenau resulting in the ground-breaking Leuchter Report. Wrote detailed critical analysis of Anne Frank Diary. Continually persecuted by Jewish organizations with numerous court cases, large fines, ten physical assaults including beaten nearly to death in 1989. Bradley R. Smith, USA, Confessions of a Holocaust Revisionist (1987), Break his Bones: Private life of a Holocaust Revisionist (2002), and two other books; founded Committee for Open Debate on the Holocaust (CODOH) in 1987; published Smith’s Report monthly newsletter from 1995 until his death in 2016; appeared on numerous national television and radio programs to defend his views. Threats and financial pressures forced him to move the CODOH operation and his family from Southern California to Baja Mexico. Ernst Zündel, Canada/Germany, published and distributed Did Six Million Really Die?, prosecuted in 1985 and 1988 in the famous Canadian “False News” trials, his ’88 conviction overturned in 1992. In 1995, his home/business was firebombed by Jewish terrorists. Two years solitary confinement in Canadian high-security prison on German warrant, then 5 years imprisonment in Germany after a trial there. Released March 1, 2010, not allowed to return to his wife in the USA. Authored Setting the Record Straight: Letters from Cell #7 (2004). Serge Thion, France, Vérité historique ou Vérité politique?/Historical Truth or Political Truth? (The question of the gas chambers) (1980). Une Allumette sur la banquise /A Matchstick on an Ice Flow (1993). Dismissed from his position as researcher at the National Centre for Scientific Research, condemned and fined by French Court of Appeal in 2002. Henri Roques, France, The Confessions of Kurt Gerstein (1985), first man in the nearly eight-century history of French universities to have his doctorate “revoked” by government order. Gerd Honsik, Austria, Freispruch für Hitler?/Acquittal for Hitler? (1988), writer and poet, given numerous fines and jail sentences in Austria, fled to Spain until extradited back to Austria on EU-wide arrest warrants in 2007. In 2009 sentenced to 5 years prison; paroled in 2011 due to age, moved to Hungary until his death in 2018. Arthur Vogt, Switzerland, fined 6000DM for lecture on Sept. 1991 in Nuremberg. In May 1997 fined Sfr20,000 for editing and distributing the “holocaust-denial” journal Aurora. Roger Garaudy, France, The Founding Myths of Modern Israel (1996); fined $50,000 in France. Dariusz Ratajczak, Poland, “Tematy niebezpieczne/Dangerous Themes” (1999); book seized; dismissed from teaching at Opele University; banned from all Polish universities for three years; forced into menial, odd jobs. Discovered dead in his car in 2010. Jürgen Rieger, Germany. Lawyer who successfully defended Ernst Zündel in 1981 and later – for this he was attacked and beaten unconscious, left near dead, his car blown up, his reputation and career ruined. On November 1st, unanimously and without a vote, the representatives of the 191 nations making up the UN adopted—or let be adopted—an Israeli-drafted resolution proclaiming January 27th “International Day of Commemoration in memory of the victims of the Holocaust”. Moreover, the resolution “Rejects any denial of the Holocaust as an historical event, either in full or part”. Historical revisionism thus sees its existence acknowledged by the whole world, a fact proving that it has some life in it, but, at the same time, this decision means that the revisionists find themselves struck with the reprobation of all the countries of the world. There is no historical revisionism that can call into question the inhuman abyss of the Holocaust” («Non c’è revisionismo storico che possa rimettere in discussione l’abisso disumano dell’Olocausto») ( L’Osservatore Romano, 7 November 1992). It was through a sleight of hand that the Israeli delegation succeeded in getting this resolution passed. It proceeded in a manner like that of certain associations which, in France, under cover of a campaign against paedophilia, have obtained a law prohibiting, on the Internet, communication relating to paedophilia and … to revisionism! To begin, they asked: “Is paedophilia not a horror in itself?” The response was “yes”. Their second step was to add: “Is paedophilia on the Internet not to be banned by a specific law?” The response, there again, was “yes”. As a third step the associations concluded: “Let’s fight, accordingly, to obtain a law against paedophilia and … revisionism [which they called ‘negationism’]”. For his part, the President of the General Assembly, the Swede Jan Ellasion, had the deftness on November 1st to ask orally whether anyone was opposed to the resolution aimed at commemorating the “Holocaust”. No hands being raised, he declared, without prior recourse to a vote of any kind, that the resolution was thereby adopted, the text of which contained in one of its provisions the condemnation of any form of “Holocaust” revisionism. The draft was approved by the United States in utter disregard of the guarantees of freedom of opinion provided by the first amendment to its constitution. And, most remarkably, this Israeli text was accepted by the Arabo-Moslem countries, including Iran. All those present approved, or let pass with soft verbal restrictions, a resolution originating from the Jews that goes so far as to condemn the right of free research on a historical subject. The UN act assumes only a political and not a juridical character. Still, since it provides that the Secretary General will have to report on the measures subsequently taken within the framework of the resolution, the revisionists will have reason to fear consequences for themselves of a judicial or administrative nature, for instance, as regards border and airport police, authorisation to enter and stay in certain countries or the issuing of visas. The resolution will serve morally to justify and facilitate extradition measures taken against revisionists.